Legal expert Bob Mionske explains a few key steps organized group rides should take to worry less about liability and focus on the ride. No one wants to talk about the legal consequences of what is supposed to be a fun and carefree sport. However, I already broke that rule when I started a discussion on negligence in group ride liability, part 1. Riding is supposed to be about escaping life’s problems, and group rides make the experience social. When I first started riding, I informally met a group of racers on a regular basis. We wore wool shorts and a hairnet at best. Back then, you knew every roadie in town, no matter their gender or age. We rode together, and we never thought about legal consequences. But, that was then. Today, our sport has become more mainstream. All kinds of people ride bikes, which means all kinds of people show up to group rides, with all different levels of ability and experience. That’s why you may want to consider taking precautionary measures to protect the organizers of your ride. 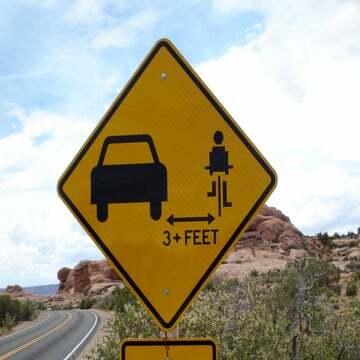 The measures needed will depend on whether your ride involves a club, is an organized or sponsored group ride, or is just an informal greet-and-go. It’s important to remember that cycling takes place on public roads with live traffic, subject to traffic rules and liability concerns. Most of the time, nothing will go wrong. But in case something does, incorporating your club is the most effective way to address liability concerns for the ride’s organizers, or maybe even your group ride. Just like companies in the business world, a group ride can protect itself by incorporating. Here is the gist: A corporation is a legal entity distinct from its organizers. This means that only the corporation itself can be held liable for the corporation’s actions. In the world of bicycles, clubs have been incorporating to protect their organizers from legal consequences for years. They accomplish this by registering the club or group as a corporation in their local state. 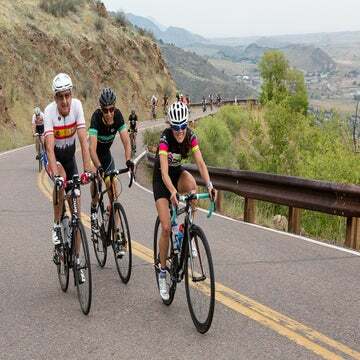 Typically, a club or group ride elects to incorporate as 501(c) non-profit organization. They qualify for non-profit status because they are in it for the betterment of society. So, what happens if someone is seriously injured on your ride, and they intend to hold the ride’s organizers accountable? If you are an organized club and you are incorporated, your legal status will protect the organizers of the club from personal liability. And for that reason, all clubs should incorporate due to the formality of their operation. You should also be aware that some organized and sponsored group rides have opted to incorporate. Their fear being that an injured rider may attempt to hold the ride’s organizers or the group ride sponsor accountable. On the other hand, a loosely organized greet-and-go probably does not need to worry about incorporating, because it lacks any aspect of cohesive unit aimed to benefit its organizers. All incorporated clubs or group rides should obtain insurance. The insurance policy will cover the cost of a lawyer to defend your club or group ride, in the event that someone sues it. In addition, the policy will cover the cost of a settlement or liability judgment up to the amount of your coverage. Insurance can be relatively inexpensive to acquire. The price will depend on the number of riders in your club or group. That said, one-time rides can be insured with a flat fee. As for individual riders, their homeowner’s or renter’s policy will cover them for rider-on-rider collisions. In addition, UM/UIM policies will cover a rider in an uninsured or underinsured collision with a motor vehicle. Altogether, insurance will provide your organizers with peace of mind. If you decide to incorporate your club or sponsored group ride, have your members sign a waiver of liability as well. A waiver acts as a legally binding agreement between the participant and club or group ride. It provides that the participant will not sue the club, group ride, or other riders for an injury they suffered during the event. The waiver is also evidence that the rider accepted and acknowledges the risk of injury, which provides a strong defense to your club or group ride if they attempt to bring a lawsuit against it. Your group ride may be just fine as it is without being incorporated, without waivers, and without insurance. But just like any other activity that affects other people and society as a whole, there is duty to behave reasonably toward your fellow human. Fall below that standard of “reasonableness” and you may be subject to legal consequences. It is no different than the duty drivers owe society. When a rider is injured on a group or club ride, they may attempt to hold the ride and its organizers responsible. Under those circumstances, you’ll be glad you are incorporated and insured. Additionally, a pre-signed waiver can be a powerful defense. The controlling law for both negligence claims and the various legal precautions will vary from state to state, so it’s important to get a legal consultation within your state. It may seem counterintuitive, but taking measures to protect you and your ride can actually add to the carefree enjoyment of road cycling. That way you can concentrate on dropping your buddy … or maybe not getting dropped too fast.